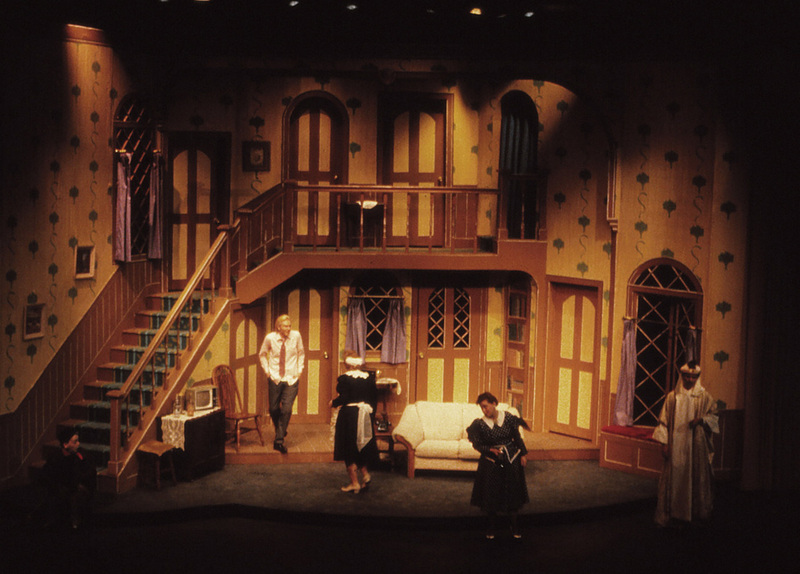 NOISES OFF was produced at Brigham Young University on the Pardoe Stage. 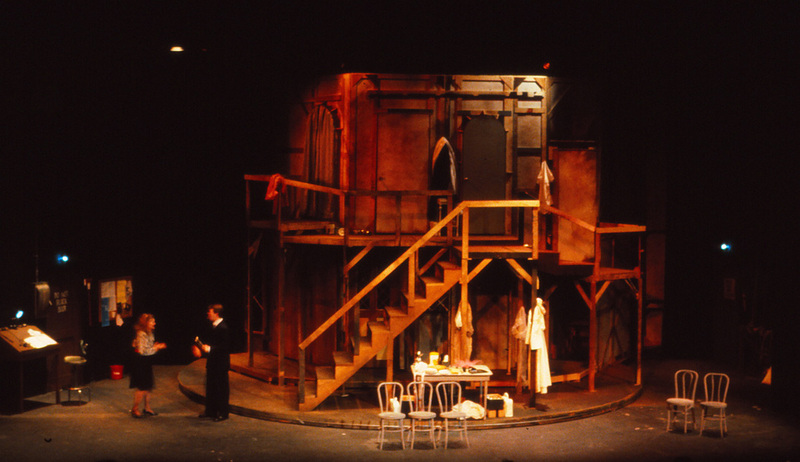 It was directed my Max Golightly. 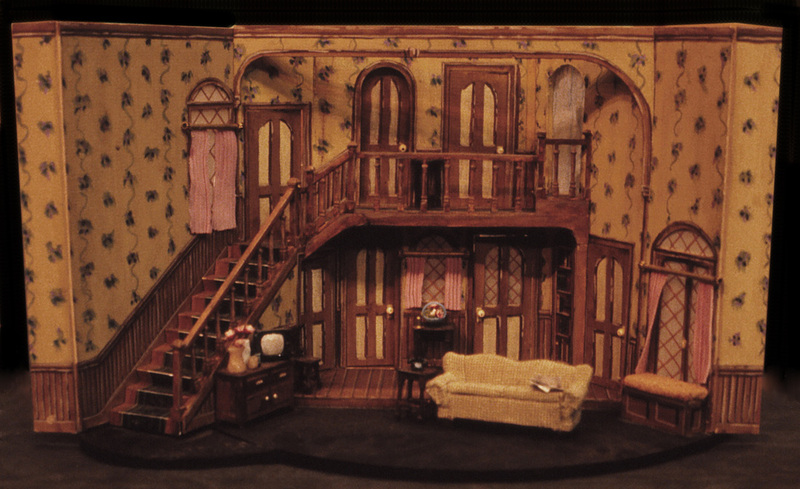 It is difficult to change the set from the original production since the lines are pretty well timed from one location to another, but we did place the window down left for a more effective entrance for this part moment in the script. 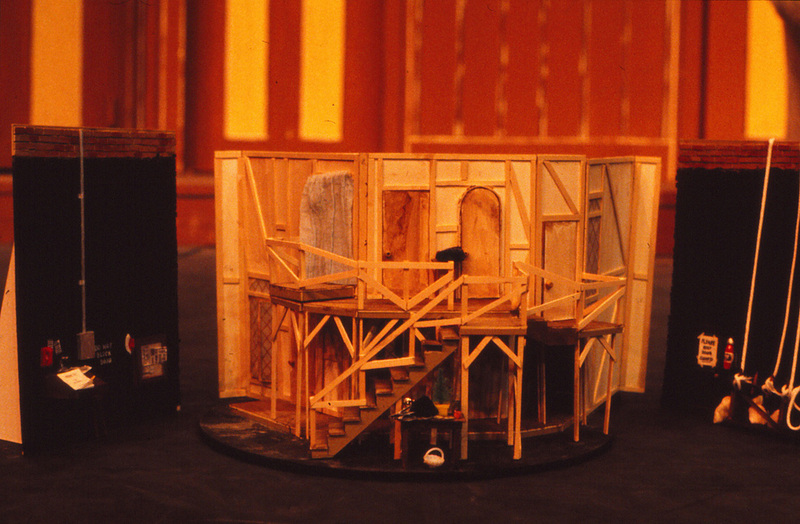 The entire structure was constructed on the built-in revolve of the Pardoe Stage, with the backstage walls at either side. 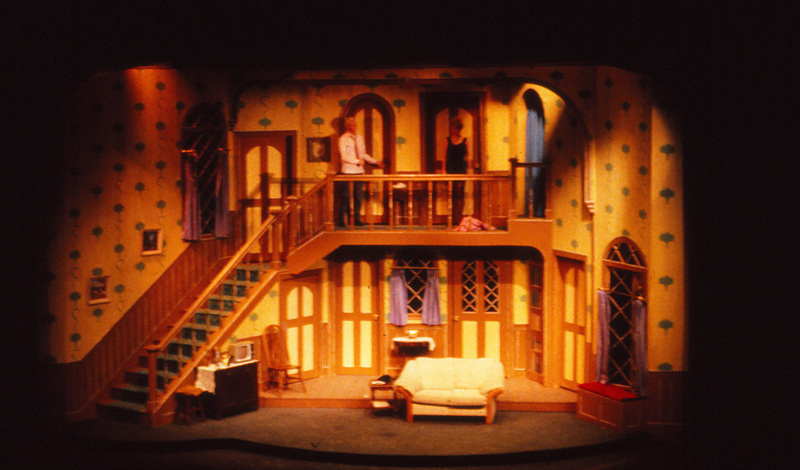 When we played the full front view, we closed the grand drapes flush with the set reveals to mask the side walls.